The pistol grip lets you score glass with little effort. Get light, consistent lubrication with a refined oil-fed system. 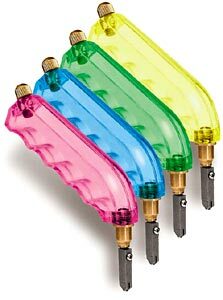 In four distinctive fluorescent colors, the lightweight clear acrylic grip lets you see how much oil is in the reservoir. Adjustable grip, improved oil control and new TAP Wheel technology. The four-position saddle is adjustable for all hand sizes, relieving strain. Lightweight cutter with an easy to hold 1/2" diameter barrel, same great carbide tip and self lubricating. Available in assorted colors, yellow, green, red, blue. The Cutter Cozy is a foam cushioned cutter grip that fits over your glass cutter for a more comfortable hold. The Cutter Cozy fits Pistol style cutters. 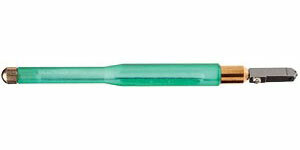 Carbide Tip fits the Comfort Grip, Pistol Grip, Acrylic & Brass barrel cutters. 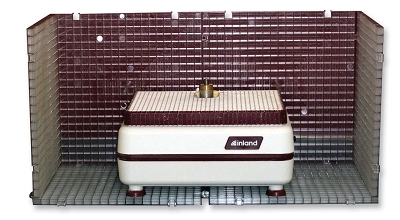 This is the standard replacement head. Designed for use with the Beetle Bit Glass Cutting System glides effortlessly back and forth on the straight-edge bar. Does not require oil though cutting head may be dipped if desired.. 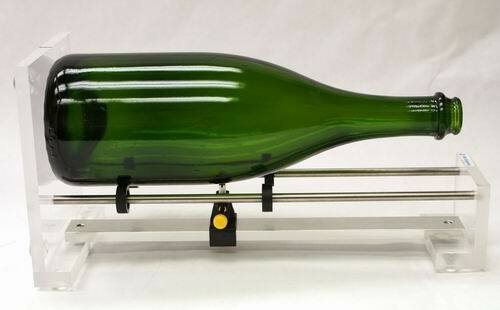 The cutting head is always at a perfect 90 degree angle to the glass giving you a perfect score each time. All you need to do is press down on the button to engage the carbide cutting wheel with the glass. The pointer is in direct alignment with the lines of the waffle grid so you will know exactly where the score will be. *Dimension does not get lost when adding grids. 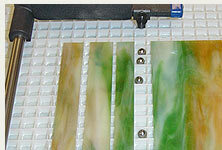 *The tops of each of the squares are rounded smooth so glass glides easy. *Allows the configuration to go around a corner such as an L-Shaped counter or to design a backsplash. *Material is of impact resistant polycarbonate plastic. 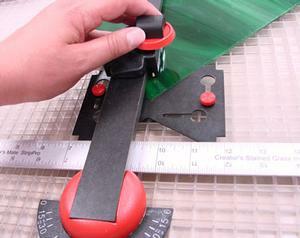 (Lexan) *See-Thru material allows the use of a template to be placed underneath such as an angle guide. *Also excellent light transmission for a lightbox. *Grids interconnect in such a way that you can flip one or more over in set-up, so you could have smooth areas amid pocketed areas. This would give you an area to score small pieces. **When emptying out the grids, you only have to pick up one section which you can conveniently empty into a small wastebasket without disturbing the rest of your gridded work area. **If you wish to store your grids, simply stack them and place in a drawer. 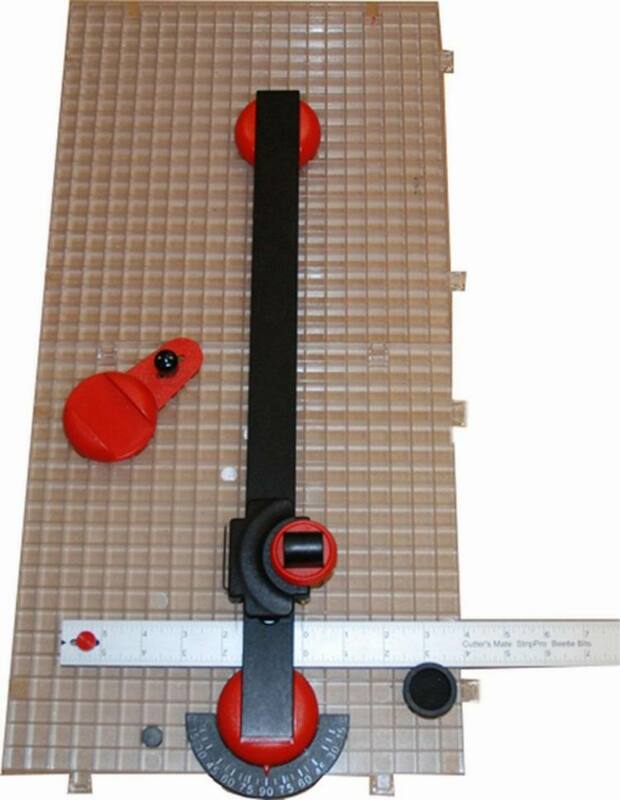 A smaller version of our popular Beetle Bits Glass Cutting System...the longest straight cut is 13"
Includes everything you need: 1 FLYING BEETLE GLASS CUTTER, CSG-10 Carbide Cutting Head, 2 Waffle Grids (Each 11 ¼" x 11 ¼"), 1 Adjustable-angle rest 1 Directional glass stop, 90 degree straight-edge rest, Straight edge swivel rest and Compass dial, Ruler positioner/oil well, 14" ZERO Mark Ruler, 18" straight edge, and 2 Blade Compensators. The handy size of this tool is ideal for small workshops. 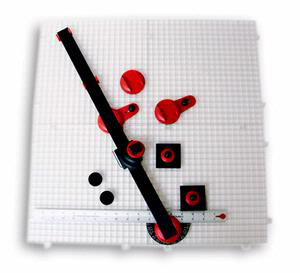 Use to score precise circles from 3/8" to 5" diameter (see examples below). Comes with a 3-wheel cutting head for long life. 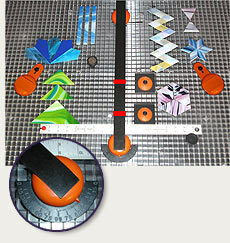 Excellent for cutting lots of suncatchers, holiday ornaments and medallions. Practically scores glass by itself - you can even cut while sitting down! Save glass and get accurate cuts every time - no more bad breaks! Use these convenient oil wells to hold your oil right where you need it, on your grid cutting surface. 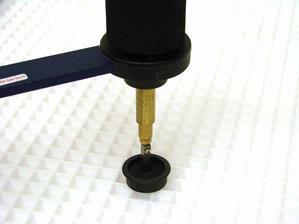 Add some oil to your cutter, and you are cutting glass quickly and accurately while protecting your cutter head. Ideal to use with The Cutter's Mate. Make glass working easier with Omni-Directional Glass Stops. Plug in modules act as stops to keep your glass in place. For precision alignment use with Waffle Grids. Waffle Grid Surfaces are a favorite among glass artists. Use these handy Speed Balls to cut glass effortlessly on the grid surface. Place Speed Balls on your grid and in line with your score to easily slide glass. Use the included rubber cap to reposition your Speed Balls in the grid. Pack includes 6 Speed Balls and 1 cap. 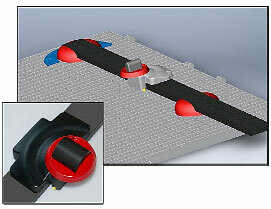 Use the Angle Duplicator to copy any angle and align the cutting bar of your Beetle Bits System for precision pieces. The Butterfly Angle Guide plugs directly into your Waffle Grid and stabilizes glass to produce perfect 45 and 60 degree cuts for equilateral or right triangles, or to divide a circle perfectly in half. Designed for right or left handed use. 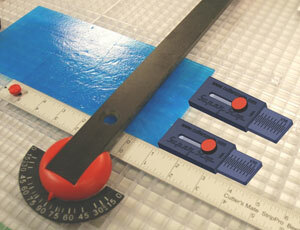 Can also be used with Strip Pro, Circle Pro,CuttersMate System or Morton System. Complete instructions included. Sturdy polycarbonate construction, Made in the U.S.A. Replacement "Tap Wheel" Cutter head. Fits all oil-fed Supercutters (except Custom Grip Supercutter). Toyo's cutting wheels are made of durable carbide steel that outlast convention cutting heads by up to 25 times! This cutter head is extra wide for strip cutting. 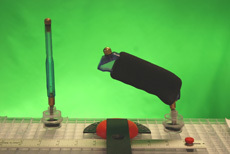 The new design of the oil pod functions both as an oil well and a glass cutter stand. It snaps easily into the Waffle Grid system. For use with both pistol and pencil style glass cutters.